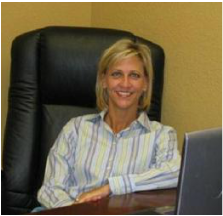 Dr. Lauri Anderwald Melton, owner of Keller Eye Associates, was born and raised in North Texas. She graduated from University of Houston College of Optometry. She is an active member of the American Optometric Association and Tarrant County Optometric Society. Charity is our Practice Administrator who brings 20+ years of extensive knowledge in the Ophthalmology/Optometry field to our office. She has been with us for twelve years, and also resides in Keller. Charity enjoys spending time with her nine year old little girl, family and friends. Jane is our Technician and Contact Lens specialist. She has been with our office for nine years, and loves interacting with patients. In Jane's spare time she helps take care of her three wonderful grand children, loves quilting, and has recently added two new additions to her family, her little dogs Hope and Faith.